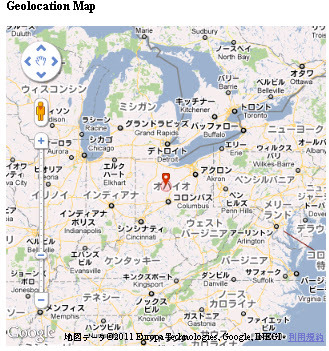 0day.jp (ゼロデイ.JP): Clarification of "Is LulzSec Final Release really infected with a Trojan?" Clarification of "Is LulzSec Final Release really infected with a Trojan?" I would like to make a clarification about what so called LulzSec Trojan / Malware file. Since my environment are Japanese, it took a bit time for me to make some EN environment adjustment for snapshots. As the background (in case you did not know it), Stop Malvertising security blog is writing a very good explanation about the origin of this issue, which you can access it from here. Thank you to Kimberly for the good explanation. Expectedly, as pro and cons situation came up upon it, is needed to clarify about what kind of "thing" that we really deal with in the first place. 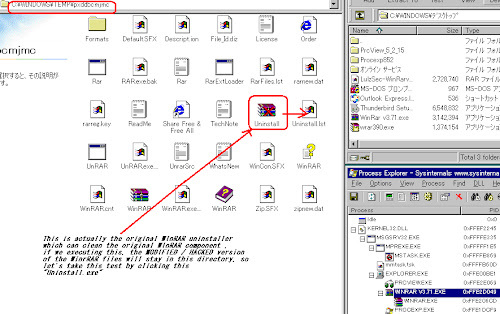 So herewith I will explain it in the easiest way (so don't worry I will not write "too many" list of system calls this time..) about what is the "WinRar v3.71.exe" file really is, and why so many antivirus detecting this file as malware. 1. "WinRar v3.71.exe" What is this file? "WinRar v3.71.exe" is the file sample of the current topic. Sample can be downloaded from this URL (password=infected) since the real sample in torrent was detected. 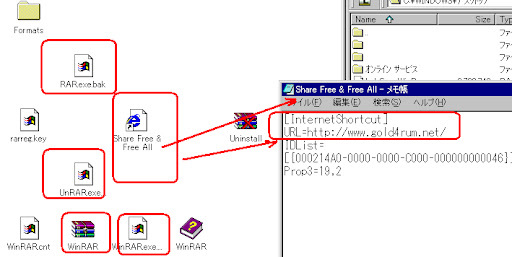 Shortly speaking , "WinRar v3.71.exe" is a simply trigger program of the WinRAR, made by Borland Dephi, which is dropping the WinRAR.exe executable files/binaries/programs set into your temporary folder and execute it instead. While executing the WinRAR, "WinRar v3.71.exe" will run in the memory as "WinRar v3.71.exe" process, and control the entire operation. If you kill the process then the temporary directory and its contents will be permanently deleted by "WinRar v3.71.exe" just before exit. This program is not only dropping this stuffs but also the internet shortcut go straight to some homepage in south east asia. The further way to explain is, WHY the maker is making it like this? Simple way to answer it is to pwn the WinRAR licensing scheme to use this pwned/modified WinRAR as freeware. Other purpose? One of the new tought is to make a kinda Portable Version of WinRAR which you can run it without install it to your PC. Other purpose? Are insignificant, like possibility to promote a web site or showing hacking skill by the chance of using LulzSec names..
To make the above objectives happened, the maker pwn the real WinRAR and wrapped it under control of "WinRar v3.71.exe", then making "WinRar v3.71.exe" looks like the real WinRAR by adding icons/stuffs), to avoid "WinRar v3.71.exe" from cracking author using a packer, which widely used by some malwares too. Yes, the way this software made and the way to force it to run in any PC is the problem. Which is a wrong way to start, and this is the REASON why this issue happen from the first place. Anyway, I run it again and again in my VmWare for hours, and experimenting it a lot, but at this moment I could not see the viral/malware action EXCEPT the stated above. I mean, no rootkits, no file/MBR infections, no network activities, etc.. HOWEVER, 1) The way it was made & it executes as per explained above by using MANY of the malicious software techniques, and 2) Trespassing the security policy of any computer systems; are inviting a so many debates about it. Which I hope to clarify by this writing. Reusing existing connection to www.gold4rum.net:80. The result of the redirected page is http://thoidaionline.net/fristpage.php as per below screenshot, at this point I was wondering wether the maker is coming from this country..
well, red-marked means the domain is blacklisting, while the purple-marked means NOT a good reputation domain.. Interesting. PS: I think after I disclose this, many data will be changed by this malicious software maker..
2. There are so many antivirus detecting this as malware, why? I can say a long way about this, shortly speaking, this "WinRar v3.71.exe" was made like the malware made (using packer, fake icon, suspicious attributes) and was behave like the malware itself (executing another program in foreign memory, dropping another binary sets, dropping shortcut to internet and changing the browser to make the homepage of it, hidden the installation and erasing all after process ended). Even though this time we cannot find the malware / distruction / infection code inside of it.. I will not surprise if it is made by the malware maker. 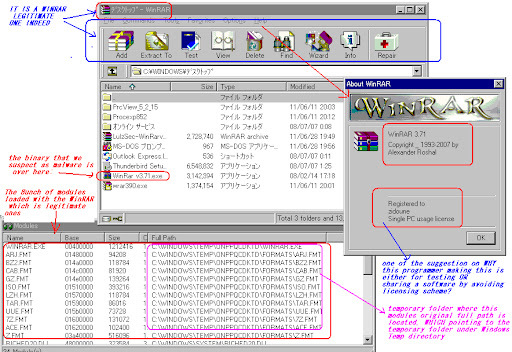 - The look of "WinRAR" file/icon itself looks lame from beginning..
0x46a6b8 CallNextHookEx // Used for parent-child process..
- These loaded DLL and running DLL inviting suspicious looks, especially if you see it deeper to its DLL's hooks/calls ..
- The Read Registry List showing most of the PC sensitive data was read/taken. 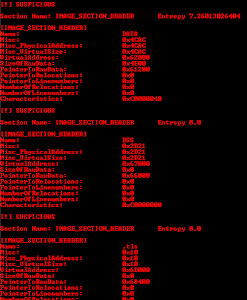 Above pic explanation is: calling the drwtsn32.exe which previously in registry was added by this key: Value Name: [ Debugger ], Value: [ drwtsn32 -p %ld -e %ld -g ], and then executing it together with dwwin.exe C:\WINDOWS\system32\dwwin.exe -x -s 208. Well this operation is a system levels, which was tweaked to run this way. There is a security privilege issue which make this program need to change DEP info to run this, thus, is a sensitive system files executed via foreign execution way. No wondermany scanners and analyst's alerts came up because of only this point. 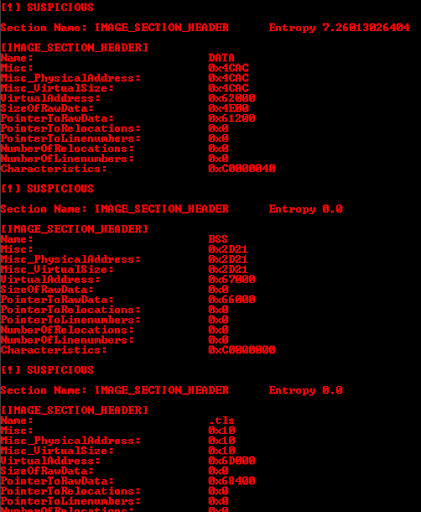 - The all of above points are also causing suspicious entropy results (I tested with many automation tools in linux), which the way I see it is: the maker made this software moves in a suspicious & malicious way by purpose so this detection also appears. Below is the shell snapshot of those suspicious entropy alerts. So, it is up to you to judge wether LulzSec Final Release file was malware or not. I was the one who said it as malware at the first time yet have to admit that no viral code inside of it BUT other than that, it is a purposely made in malicious way. is a kind of file I would like to avoid myself. You can call it a riskware if you want, but THIS IS NEVER BE A GOODWARE. Legitimately is against the licensing agreement of WinRAR software I use and love (hope the person who pwned this can get what he deserved) and this software BREAKS the vital windows security policies w/o warning. One more thing. 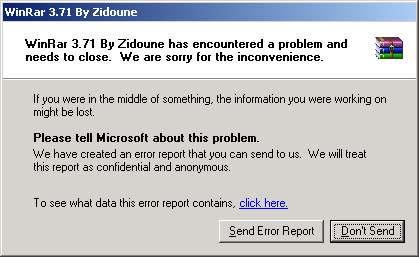 One thing that I cannot except is the one who said this software is a False Positive. Since False Positive is a term to be used for a good software/goodware that was honestly made but got mistakenly judged by AntiVirus/Malware scanner as a virus or malware. Our case is not like that, not even close to it, which wehave to be clear about. I used to detect many FP regarding to the Japanese softwares, I am against FP, and fight to correct the situation on daily basis. 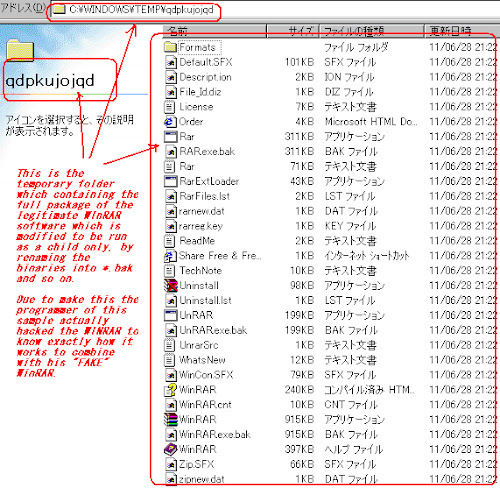 But regarding to this software, frankly, it deserves to be judged as malicious program. 1) What if the desitination redirection of shortcut URL file dropped by this malicious software changed at the server side and redirecting users to the malware site instead? This changes can be done at anytime in the server side. 2) What if you use this software and you will get the licensing problem with the WinRAR maker? 3) What if the idea given by this software is taken by the REAL malware maker and remake it in much more malicious way? Please kindly consider above points before judging.